This is 10mm Hornady 180gr. XTP Hollow Point Ammo. XTP bullets are famous for their ability to expand reliably across a wide range of velocities. The XTP bullet was specially built to withstand incredible velocities, and still deliver controlled expansion and weight retention. Special features in the nose facilitate and control expansion on impact. XTP bullets consistently deliver the deep, terminal penetration needed for one-shot kills. The XTP is one of the most accurate pistol bullets ever made. Comes packed in 20rds. per box. 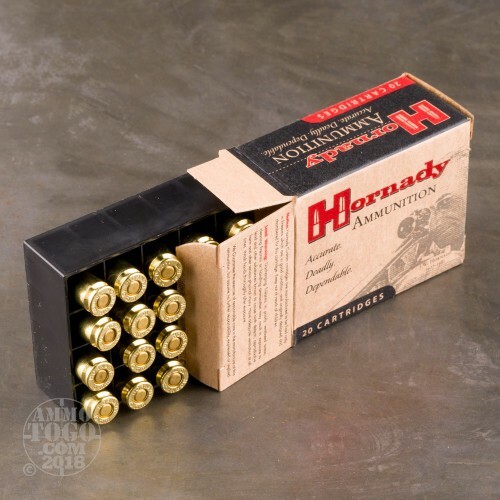 In hopes of giving ourselves and our customers a better idea how this 10mm Auto self-defense ammo would perform if called upon in a self-defense scenario, we tested dozens of the best selling hollow points on the market. 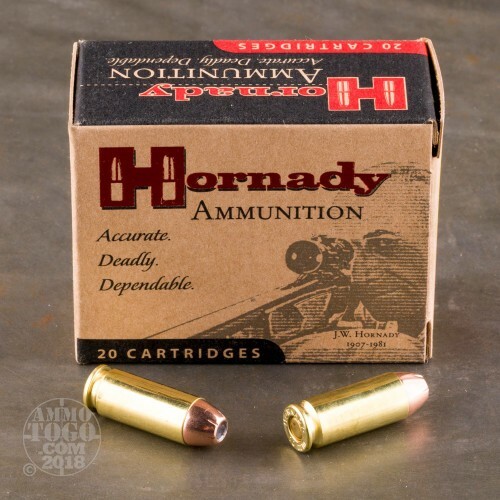 We fired five rounds of this Hornady Ammunition 10mm Auto ammo through a cloth barrier into Clear Ballistics calibrated synthetic gelatin and recorded the results. For these tests, we used a Glock 29 with a 3.78-inch barrel. In the photos, graphics and video on this page, you can see specifically how the Hornady Ammunition ammo performed and how it sticks up with the rest of the 10mm Auto ammo we have tested so far. 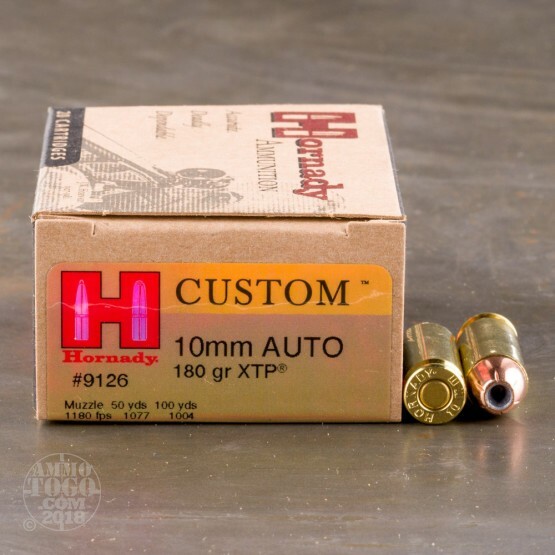 How do the results for this Hornady Ammunition 10mm Auto compare to other 10mm? 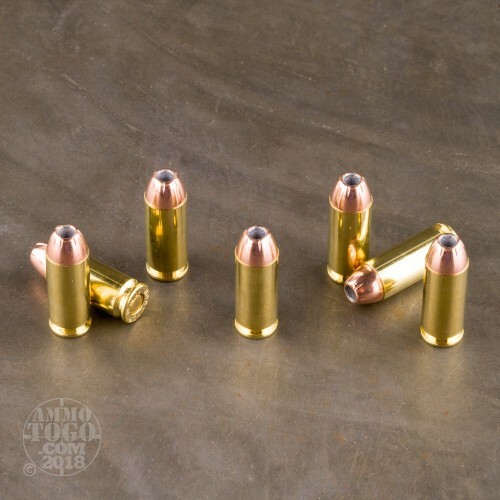 Expansion Diameter Compared to All 10mm Auto Ammo Tested MIN 0.4" MEDIAN 0.63" THIS AMMO 0.66" U.S. dime MAX 0.81"
Penetration Depth Compared to 10mm Auto Tested 0" 10" 20" 30" MIN 11.7" MEDIAN 18.6" THIS AMMO 20" MAX 48"
Excellent hunting ammo for the money. Speedy delivery from ammo to go. Pleasant people to talk to.